Hey there beautiful piccolo babes! We hope everyone enjoyed their thanksgiving with family & yummy food (our favorite)! We also want to send a HUGE THANK YOU to everyone that came out and showed support for us on Black Friday, Small Business Saturday, & Cyber Monday! All of our shoppers mean the world to us, and we wouldn't be here and doing this without you, so again THANK YOU so much we hope you enjoy all of your new goodies! So let's get to it shall we? IT'S GIFT GIVING SEASON! As much as we love getting gifts (and we REALLY REALLY DO) we find more joy in giving gifts! However, it seems like every year there are twenty more people you need to buy for, so we're here to help! 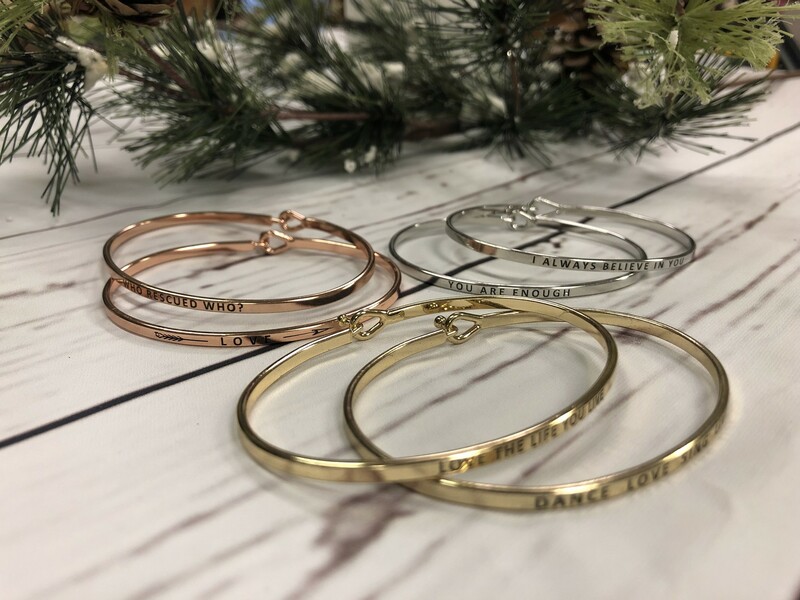 We are going to breakdown some of our FAV items to give out that won't break the bank so you can get something small for those people you see over the holidays and in your mind go "ugh i wish i would have gotten them a little something." AND GUESS WHAT ... ALL OF THE ITEMS WE WILL BE TALKING ABOUT ARE $20.00 OR UNDER! 1. Mugs.. DUH! obviously it's coffee related for us. 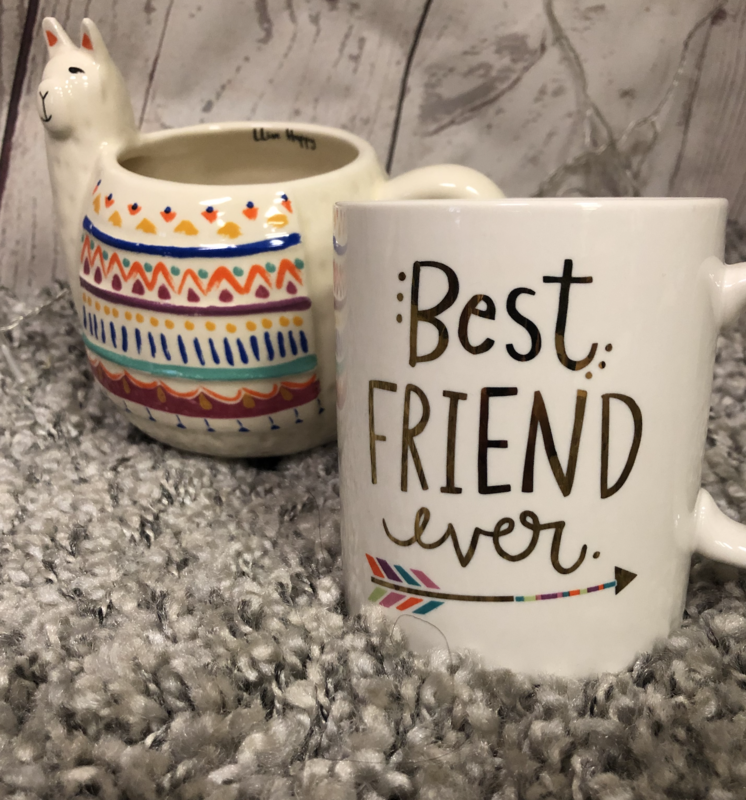 But really, you can't go wrong with grabbing a cute little mug for your bestie or your kids favorite teacher, for only $14.00 to $20.00! Want to add on just a little extra? Pick up a bag of coffee or tea and you're all set! 2. We all have a brother, cousin, uncle, or even aunt that LOVES their beer. 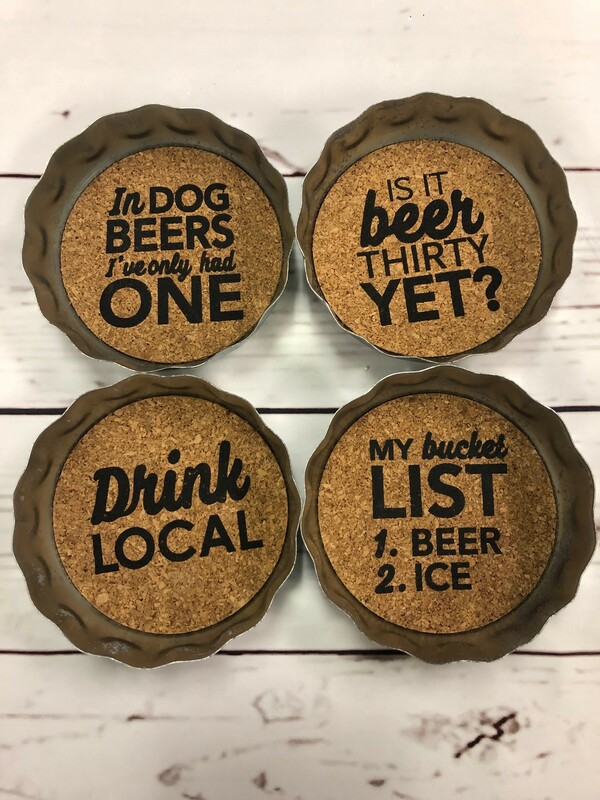 SO you can't go wrong with our Bottle Cap Beer Coasters, a set of four for $17.00 to add to his man cave or her diva den will be sure to please. If you're feeling EXTRA giving you could even pick up his or hers favorite six pack! 3. AHHH. our next pick, we know, its so "typical" BUT what sets ours apart is ... they're different. Our candles aren't your average candle that you can buy at the grocery store or department store. They're unique! 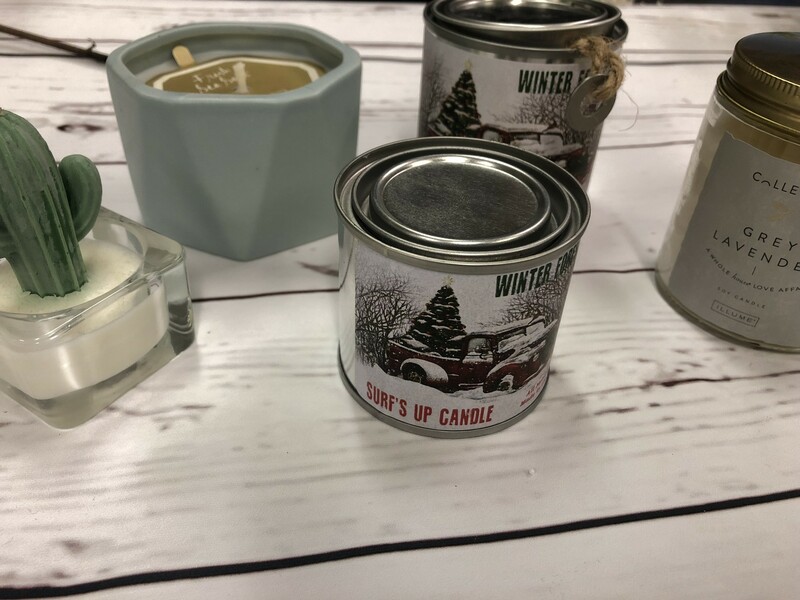 We have a handful of different scents and styles that will be sure to "WOW" and add that extra little touch to your gift. All of our different styles and scents range between $12.00 and $28.00. WE KNOW, we said under $20.00, we're just letting you know that there are PLENTY of options! 4. We all fall in love with our hairdresser or the person who does our nails & we want to show them that appreciation around the holidays, but you are already spending SO MUCH on family & close friends that its hard to justify buying ANOTHER present for someone. 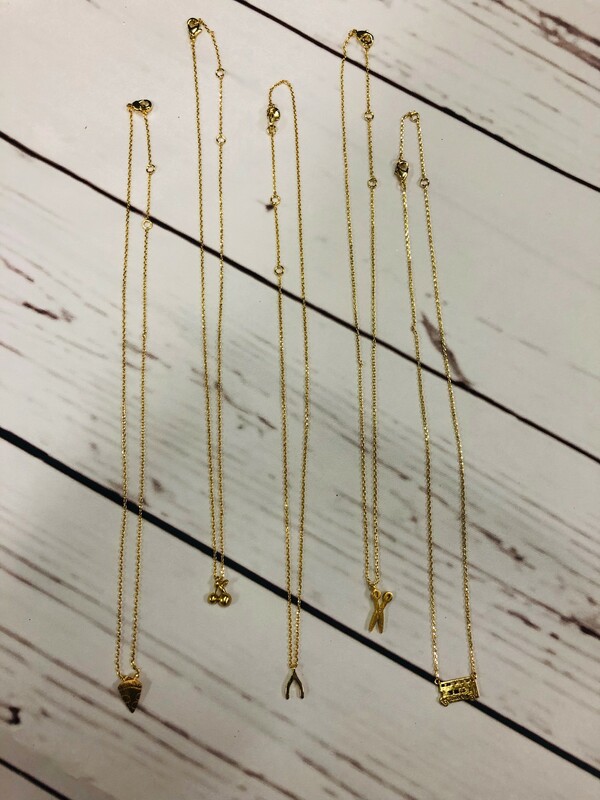 Well you're in luck, our tiny necklaces come in at only $12.00 and its the extra little thank you for making me look good AAANNNNDD be my therapist every month for two hours! Still not sure what to grab you aunts cousins friends sister? Thats okay! We are here to help. You can always reach out or stop by the store and ask our opinion or see what other unique things we have in! As you all know .... we have a shopping problem, so new items arrive DAILY! Enjoy your week Piccolo babes!